Join the mercenary forces of G.O.D. Inc where you get to play as 1 of 2 expendables, Mike or Lola. Fight against global nuclear threats, Middle East fighters and city riots whilst travelling to the most dangerous places unimaginable. Gear up for this top down 8bit shooter thrill ride!! 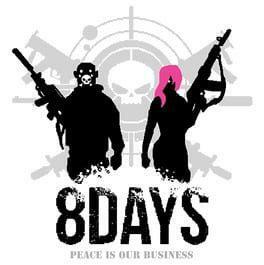 8Days is available from 3.95 to 10.22 from 2 shops.